Dr. Bradley Johnston is the director and co-founder of NutriRECS, and is an Associate Professor with the Department of Community Health & Epidemiology, Faculty of Medicine, Dalhousie University, Halifax, Canada. Dr. Johnston also holds adjunct appointments with The Hospital for Sick Children (SickKids) Research Institute, where he founded SickKids first evidence synthesis unit (SORT – Systematic Overviews through advancing Research Technology), and the Department of Health Research Methods (formally Clinical Epidemiology & Biostatistics) at McMaster University, where he is a tutor in the annual Evidence-Based Clinical Practice Workshop. Dr. Johnston is an Associate Editor with BMC Medical Research Methods. His academic interests include the methodology of patient-reported outcome measures, randomized trials, meta-analysis (including network and individual patient data synthesis), and public health practice guidelines. His work involves the application of these methods to a wide range of areas, with a particular interest in the education, principles and practice of evidence-based nutrition. He has published over 100 peer-reviewed articles, including first authored articles in JAMA, Annals of Internal Medicine, CMAJ and Pediatrics. Dr. Pablo Alonso-Coello is a co-founder of NutriRECS, the head of the Barcelona GRADE center, and is a health services researcher at the Biomedical Research Institute (Hospital Sant Pau) in Barcelona, Spain. He has extensive experience in clinical practice guidelines development and methodology, systematic reviews and randomised clinical trials (RCT). In the field of guideline methodology he has played an important role in the development of the GRADE approach to guideline development, which has been adopted internationally. In Spain he is the Director of the Scientific Committee of the National Program of Clinical Practice Guidelines, and has been providing support to numerous guideline organizations. He is a member of the GRADE guidance group. In 2017 he was identified as a highly cited researcher of the last decade (http://hcr.stateofinnovation.thomsonreuters.com/). Dr. Malgorzata (Gosia) Bala is a co-founder of NutriRECS, the head of the Cochrane Poland, and the chair of Epidemiology and Preventive Medicine at the Jagiellonian University Medical College, Cracow, Poland. For over 15 years Dr. Bala has been involved in systematic reviews, health technology assessment and practice guideline methodology. Her long-term involvement in Cochrane activities resulted in establishing Cochrane Poland in 2014. For several years she has been a tutor of evidence-based medicine (EBM) to medical students at the Jagiellonian University Medical College and co-authored the chapters in the referential Polish textbook: “The Essentials of Evidence-Based Medicine for Physicians and Medical Students”(Editors: Piotr Gajewski, Roman Jaeschke, Jan Brozek; Cracow, 2008). Recently she has become as tutor of EBM to students of dietetics and a tutor of methods of systematic reviews to researchers and PhD students. Her research activities are focused on evidence-based medicine and public health, particularly on the systematic reviews assessing effectiveness of therapeutic interventions, including several Cochrane reviews, as well as the methodological aspects of clinical trials and treatment guidelines. She is also involved in applying systematic reviews methods in non-medical fields, like bioethics, human resources. Dr. Gordon Guyatt coined the term “evidence-based medicine”, is a mentor, Clinician-Scientist and Distinguished Professor in the Department of Health Research Methods (formally Clinical Epidemiology & Biostatistics) at McMaster University, Hamilton, Canada. Dr. Guyatt is a pioneer in evidence-based medicine and an internationally renowned expert in health research methodology, having published over 1000 peer-reviewed articles. Has has led the production of a series of over 35 articles “Users’ Guides to the medical literature”, published in JAMA. These materials have played a key role in establishing EBM as a core aspect of undergraduate and postgraduate medical education worldwide. He is the Co-Chair of the GRADE working group, a system for rating the quality of evidence from systematic reviews and making recommendations for clinical and public health guidelines. GRADE has been adopted by over 100 organization worldwide including the World Health Organization, the Cochrane Collaboration, the American College of Physicians, and UpToDate. Catherine Marshall is a Cochrane Consumer located in Wellington, New Zealand. She has a strong interest and extensive experience in promoting consumer engagement in health care for the last thirty years. Catherine has a strong interest and experience in promoting consumer engagement in health care for the last thirty years. She was previously the CEO of the New Zealand Guidelines Group (2000-2006), a group set up to develop and implement evidence-based guidelines and decision-making for consumers. She was also part of a group that set up New Zealand’s first consumer network – the Consumer Collaboration of Aotearoa, a not for profit organization that ran from 2012-2015. She currently provides independent advice to government and not for profit agencies on the implementation of consumer values and preferences as applied to evidence-based health care policy mainly in New Zealand and Australia. Catherine is a member of the international Cochrane Governing Board (cochrane.org) and she was a founder of the Guidelines International Network (G-I-N) and is currently an Honorary Patron of the Network (g-i-n.net). She has worked to establish G-I-N Public, a group of international guideline developers who promote consumer involvement in guideline development. Dr. Patrick Stover is Vice Chancellor and Dean of Agriculture and Life Sciences at the Texas A&M University System. He has been selected as an Outstanding Educator four times by Cornell Merrill Presidential Scholars. He is editor of the Annual Reviews of Nutrition. Dr. Stover graduated from Saint Joseph’s University with a BS degree in Chemistry and was awarded the Molloy Chemistry Award at graduation. He received a PhD degree in Biochemistry and Molecular Biophysics from the Medical College of Virginia and performed his postdoctoral studies in Nutritional Sciences at the University of California at Berkeley. In 2015, he was elected as a member of the National Academy of Sciences, and in 2014 was elected as a Fellow of the American Association for the Advancement of Science. In 2014, he received the SUNY Chancellor’s Award for Excellence in Scholarship and Creative Activities, and the Osborne and Mendel Award for outstanding recent basic research accomplishments in nutrition from the American Society for Nutrition, and a MERIT award from NIDDK-NIH. In 1996 he received the Presidential Early Career Award for Scientists and Engineers from President Clinton, the highest honor bestowed by the U.S. government on outstanding scientists and engineers beginning their independent careers. The Stover research group investigates the fundamental chemical, biochemical, genetic and epigenetic mechanisms, and the associated pathways within the one-carbon metabolic network, that underlie the relationships among nutrition, metabolism and risk for birth defects, cancer and neurodegenerative diseases His research team is revealing the causal role of nuclear dTMP synthesis in folate- and vitamin B12 responsive pathologies, and informing novel nutritional strategies for the prevention and management human pathologies. He is also researcher at the Norwegian Knowledge Centre for the Health Services in Oslo and an acting consultant at the Department of Medicine, Innlandet Hospital Trust-Gjøvik, Norway. The MAGIC research and innovation program aims to provide clinicians and patients with trustworthy evidence summaries, guidelines and decision aids at the point of care. Supported by a career research grant from Helse Sør-Øst RHF and several innovation grants this work includes the MAGIC authoring and publication platform and innovative solutions for decision aids and integrating guidelines in the electronic medical record linked to patient specific data. Dr. Vandvik is also a recognized teacher in evidence-based medicine and guideline methodology for clinicians and decision-makers in health care. He is a member of the GRADE working group and is a member of the Guidelines International Network (GIN) Board of Trustees. He currently supports numerous guideline organizations in developing trustworthy guidelines, and leads a collaboration with the BMJ in producing RapidRecs guidelines as new evidence emerges. Dr. George Kephart is a Professor, Department of Community Health and Epidemiology, Faculty of Medicine, Dalhousie University. He is co-founder and former Director of Health Data Nova Scotia, which has established a large health data warehouse to support population and health services research. His research interests include patient oriented health research, health policy evaluation, equity and access to health services, and chronic disease surveillance and management. His current research focus is the development of new measures of patient self-management that can be used for clinical assessment and research. Dr. Regina El Dib is an Assistant Professor at the Institute of Science and Technology, Estadual Paulista University, Brazil, and founder and director of the systematic review unit of the Botucatu Medical School, registered in the Brazilian National Council for Scientific and Technological Development (CNPq). Dr. El Dib’s graduate training is in evidence-based medicine and her work focuses on clinical epidemiology methods. She has published more than 100 peer-reviewed articles, primarily involving systematic reviews of interventional, prognostic and diagnostic accuracy studies, as well as research on evidence synthesis methods. She has extensive experience with Cochrane reviews, including having managed Cochrane Brazil’s Project Health in Your Language that has translated over 250 review abstracts to Portuguese. She is also an adjunct researcher with the McMaster Institute of Urology in Canada, collaborating on a number of primary and secondary studies in kidney cancer. Dr. Patricia Cassano is Professor of Health Care Policy and Research, the Interim Director, Division of Nutritional Sciences, Weill Cornell Medical College, and Director of Graduate Studies for the Field of Epidemiology in the Cornell University Graduate School. Dr. Cassano also directs the annual WHO/Cochrane/Cornell University Summer Institute for Systematic Reviews in Nutrition for Global Policy Making. This unique institute, which is in its 5th year in 2018, brings together experts from the World Health Organization (WHO), Cochrane, and Cornell University to train participants in the development of systematic reviews of nutrition interventions in populations. Dr. Cassano is a chronic disease epidemiologist with expertise in nutrition and genetics and methodological expertise in the design, conduct and analysis of analytical epidemiological studies, including RCTs and long-term prospective cohort studies incorporating biological markers of nutrition and metabolism and molecular markers of genetic variation. Dr. Cassano teaches the foundation course in Epidemiology for graduate students on both campuses, including the Graduate School of Cornell University and the Weill Cornell Medical College Translational Science program in Clinical Investigation. Dr. Russell de Souza is a registered dietitian and nutrition epidemiologist. His current research interests lie in advancing methodology for systematic reviews and meta-analysis and clinical trials in the field of nutrition, with an interest in the contribution of dietary patterns and macronutrients (specifically fructose, saturated, and trans fats) to cardiovascular disease risk throughout the lifespan. Dr. de Souza is a co-investigator on the INMD-funded Birth Cohort Alliance, which seeks to explore associations among maternal nutrition, infant feeding patterns, and epigenetic/epigenomic determinants of maternal and child health, as well as the Alliance for Healthy Hearts and Minds cohort examining neighbourhood-level factors that contribute to cardiovascular risk. He is also interested in the reproducibility and validity of current methods of assessing nutrient intakes. He has served as an external resource person to the World Health Organization’ Nutrition Guidelines Advisory Committee on saturated, trans, and polyunsaturated fatty acids. Dr. Celeste Naude is registered dietician at the Centre for Evidence-based Health Care at Stellenbosch University, South Africa; and Co-Director of Cochrane Nutrition. Through Cochrane and other collaborative multi-stakeholder initiatives, she is involved in implementing knowledge translation strategies with key target audiences and stakeholders (e.g. policymakers, non-governmental organisations, professional associations, media, guideline developers). Dr. Naude is also an Associate Editor of Nutrition Journal (BMC), and Co-convenor of the Cochrane Fields Executive and a member of the Cochrane Council. She is an invited member of the Chronic Disease Initiative for Africa. Nationally, Celeste serves on the Ministerial Committee on Mortality and Morbidity in Children under 5-years; and provincially on the Western Cape Technical Reference Group on Health Eating. Celeste holds a PhD in Nutritional Sciences, with formal training in Cochrane systematic review methods, GRADE guideline development, systematic review editing skills, SUPPORT summaries and science communication. She is a member of technical author teams for preparing systematic reviews, meta-analyses, policy briefs, scoping reviews for guideline development, as well as relevant primary research. Dr. Lehana Thabane is a Professor of Biostatistics and Associate Chair of the Department of Health Research Methods, Evidence, and Impact at McMaster University, Hamilton, Canada. He is also the Director of Biostatistics at St Joseph’s Healthcare in Hamilton. In addition to his leadership roles at McMaster University, Dr. Thabane holds visiting professorships at the University of Cape Town and Stellenbosch University in South Africa, and at UNESP in Brazil. His research interests include clinical trial methods, analysis and execution; pilot and feasibility studies and systematic review methodology. He is the Co-Editor-in-Chief of BMC Pilot and Feasibility Studies and is an editorial board member for BMC Trials, and Clinical Trials. He has mentored over 100 MSc, PhD and Postdoc trainees including over 15 junior faculty from various institutions. He won several teaching and supervision awards and he is the clinical trials mentor for the Canadian Institutes of Health Research (CIHR) and CIHR Drug Safety and Effectiveness Cross-disciplinary Training (DSECT) Program. He has co-authored over 600 publications in peer-reviewed journals and over 700 abstracts presented at national and international meetings with over 100 invited presentations. Dr. Mi Ah Han is a professor in the Department of Preventive Medicine, Chosun University, Republic of Korea. She is a visiting professor with Department of Health Research Methods, Evidence, and Impact in Hamilton, Canada. Dr. Han’s work focuses on epidemiology, preventive medicine and the education about health research methods and evidence-based healthcare. Her research interests include public health, community-based intervention and health research methodology. She has published more than 100 peer-reviewed articles using primary and secondary data analysis as well as systematic review and meta-analysis. Her current research focuses on the summarizing evidence of the health effect (primarily cancer) of risk factors using a systematic review and meta-analysis. Dena Zeraatkar is a Canadian Institutes of Health Research (CIHR) funded PhD candidate in the Health Research Methodology (HRM) program in the Department of Health Research Methods, Evidence, and Impact (HEI) at McMaster University, Hamilton, Canada. Her master’s work centered on methods for the validation and use of the Early Development Instrument (EDI) for children with special needs. Her doctoral work focuses on advancing research methods in nutrition, particularly related to systematic reviews and guideline development. She has received graduate-level awards for her master’s and doctoral work from the Canadian Institutes of Health Research (CIHR). Dr. Montserrat Rabassa is a nutritionist and a Sara Borrell post-doctoral researcher at the Biomedical Research Institute (Hospital Sant Pau), Barcelona, Spain. Her main research activity is focused to improve the quality and implementability of nutritional recommendations. Montse has degree in Human Nutrition and Dietetics from the Rovira i Virgili University (2006) and in Food Science and Technology from the University of Barcelona (2009). She holds an Official Masters in Food Development and Innovation (2011) and a PhD in Food and Nutrition, with European mention, from the University of Barcelona (2015). She received a PhD Extraordinary Award for the 2015-2016 academic year for her thesis entitled “Effect of polyphenol-rich diet intake on aging. Association with physical and cognitive decline, frailty and total mortality within the InCHIANTI cohort”. Throughout the duration of her PhD, she performed a predoctoral stage with financial support from the MAPFRE foundation in the Geriatrics and Geriatric emergency care at IRCCS-INRCA in Ancona (Italy) for 4 months (2013) with Dr. Antonio Cherubini. Claudia Valli is a researcher at the Biomedical Research Institute (Hospital Sant Pau) and a PhD Candidate in the Methodology of Biomedical Research and Public Health Program at the Univeristat Autonoma of Barcelona, Spain. Her work focuses on conducting clinical and nutritional systematic reviews and synthetizing research evidence to support informed decision-making and guideline development. She has a master in Nutrition and Health at Wageningen University (Netherlands) with the specialization in “Epidemiology and Public Health”. Her master’s work focused in developing methods for process evaluation plans in nutritional programs in dwelling elderly. Dr. Qin Guo is a visiting post-doctoral researcher with Dr. Bradley Johnston at Dalhousie University and is a pediatrician at West China Second Hospital of Sichuan University, Chengdu, China. Her research is focused on improving the quality of clinical research in pediatrics in China, particularly related to the methodological development of systematic reviews and clinical practice guidelines that evaluate the potential for probiotic administration among children with infectious diseases. 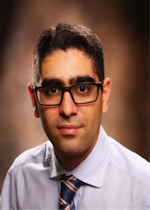 Dr. Behnam Sadeghirad is a PhD candidate in the Health Research Methodology (HRM) at McMaster University, Hamilton, Canada. He works with Drs Johnston and Guyatt on the application of GRADE (Grading of Recommendations Assessment, Development and Evaluation) in nutrition with a focus on child health. Dr. Sadeghirad’s research interests include methodology of systematic reviews and meta-analyses, network meta-analyses, evidence-based practice and biostatistics. He has research experience with a number of well-established centres including McMaster Universities Michael G. DeGroote Institute for Pain Research and Care, and the WHO Collaborating Centre for HIV Surveillance at Kerman University, Iran. 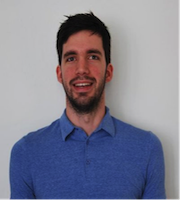 Dr. Robin Vernooij is an epidemiologist with the Netherlands Comprehensive Cancer Organization and part-time post-doctoral fellow with NutriRECS at Dalhousie University, Canada. Dr. Vernooij’s research interests include the development and updating of clinical guidelines, systematic reviews and meta-analyses (including network meta-analyses and individual patient data meta-analyses), and population-based cancer registry studies (with a special focus on urologic cancers). He holds a master’s degree in epidemiology and biostatistics at the VU University Amsterdam, and a PhD in the Methodology of Biomedical Research and Public Health from the Universitat Autonoma of Barcelona (with international mention). He has research experience in different internationally recognized centres including the Netherlands Comprehensive Cancer Organization, the Biomedical Research Institute at Hospital Sant Pau and Oxford University.